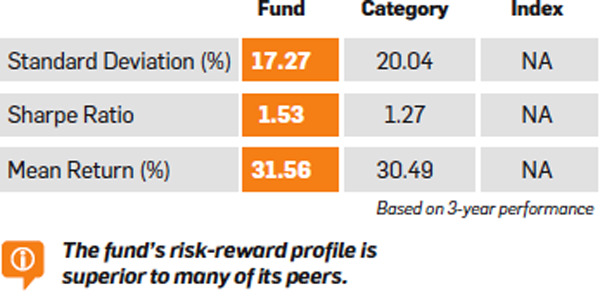 The fund has outperformed peers across 3- and 5-year time frames. 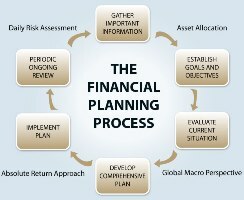 The fund's performance has improved in recent years, except for a blip in 2014. This fund didn't fare well in its initial years but, in recent years, has steadily improved its performance under the capable hands of its current fund manager. 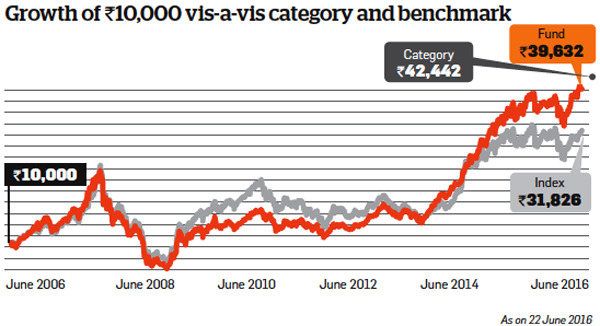 Although investing predominantly in mid-cap stocks, the average market capitalisation of its portfolio is lower than other category peers. 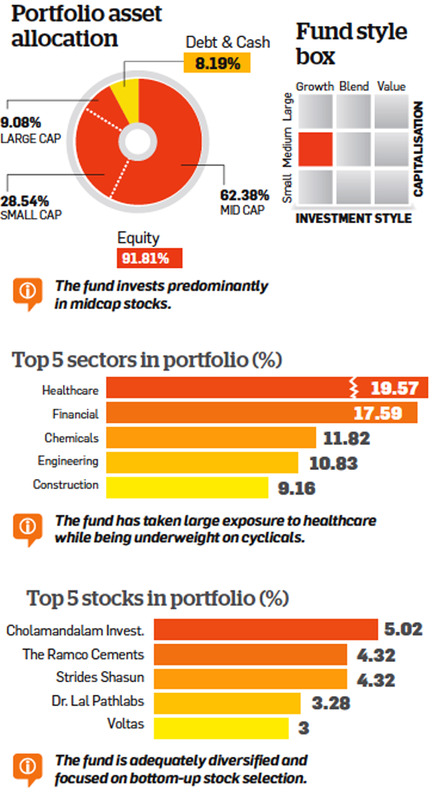 Although the stock selection approach is mostly bottom-up, the fund manager doesn't shy away from taking bold sector bets, as is reflected in its large exposure to the healthcare sector. She is equally adept at handling performance across market cycles—the fund has captured more of the upside during market upticks and contained the downside during downturns in a better manner than its peers. 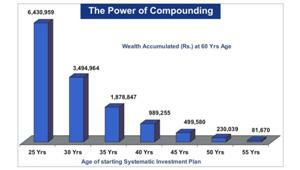 Given its superior risk-reward equation, the fund is a worthy pick in its category.